Innovative cut resistant socks will protect your feet from sharp objects and allow you to walk, run, and go rock climbing without shoes. 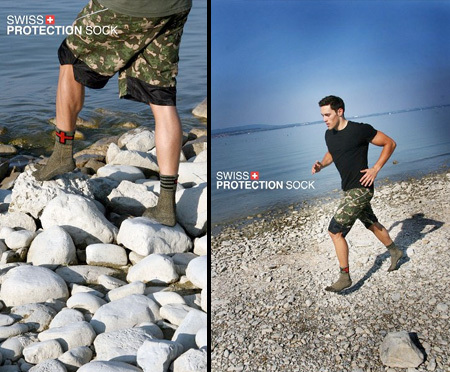 Swiss Protection Socks provide absolute barefoot feeling like no other footwear. They are made out of kevlar, polyester, spandex, and cotton. INB4 Hobbit IRL! Just needs some hair! Going to have to get hubby a pair to go with his Vibram 5 fingers. wished they included in the video men stepping on actual see urchins and broken glass. They should have a version with avery strong rubber material on the sole to prevent sharp rocks from really jabbing you good. It may limit maneuverability a bit, but I think it would be worth it for some activities. Hippie guy from Dual Survival, we’ve got something for you. Cody Lundin (referred to as “Hippy guy from Dual Survival” by “hello”)def. needs some of these! He might wear them since he wears socks just not shoes. If he doesn’t like wearing shoes, which is to protect his feet, will he be willing to wear socks that protect his feet? Pretty disappointed that they claim these are useful for rock climbing. 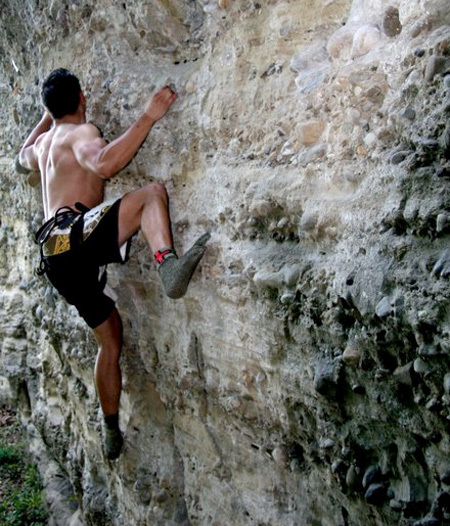 Good luck trying to hold your entire body weight on a single toe (aka – there’s a good reason rock climbing shoes are actual shoes). 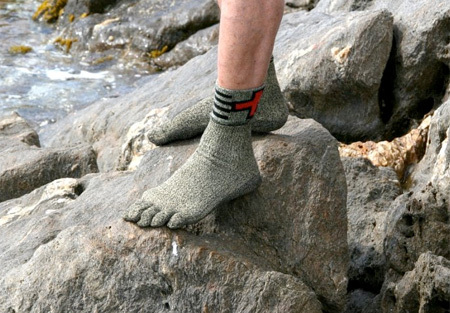 You’ve obviously never done bare sole climbing… This just takes the cut part out of it. Just 5 days ago I watched an old man lead a 5.11+ in Red rocks, Vegas with bare feet, he didn’t even struggle. Then I watched him do another 5.11 bare foot. do these protect from heat? Considering putting these under my boots if i get sent to Afghanastan…how is their moisture wicking? 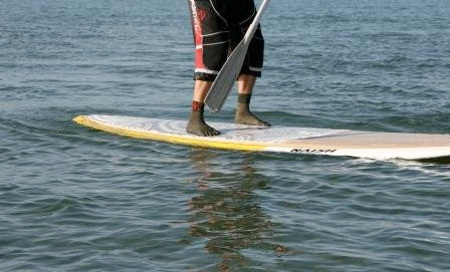 Will these prevent sting ray puncture? Haven’t seen anything about walking on asphalt and concrete. What’s the deal with that? Also, probably the first thing I should’ve asked is do they come in men’s size 14 or 14 1/2? If not, I guess for me if they don’t carry the size I need, nothing else matters! No good for every day use though, and god forbid you walk on asphalt! They’ll come apart. I’m a barefoot runner, and I used them the first day I got them for a 10 mile run, on the roads and they fell apart on me the first time I used them.